I am a Traught shipper. Sorry for those who aren't!!!! But seriously, enjoy!! 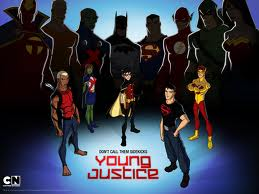 How many villains is there to defeat in the first Young Justice video game? Robin and Artemis on VALIUM!! !